Put a soulful spring in your step! Hopefully we can start to wave goodbye to the winter blues and welcome the arrival of warmer weather. We’ve got some red hot Soul and Motown live gigs coming up over the next couple of months to help get over the cold, wet weather! Here’s a few dates for your diary. 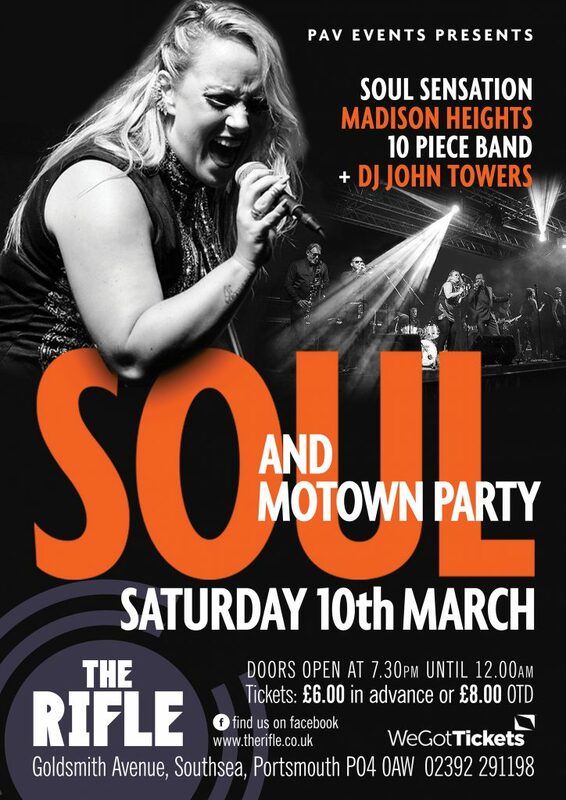 Review from the Jazz Cafe: ‘Madison Heights are undoubtedly the most authentic Motown and soul band to hit the stage, they deliver an energetic and exciting performance of classic hits by the legends of Soul and Motown. This is a real tribute that even the legends would be proud to have them performing their hits’. Who could argue with that!! Respect!